This article is 3077 days old. If you are in search of that unique and special vintage Christmas gift this year, Our Father’s Agenda might just have it. 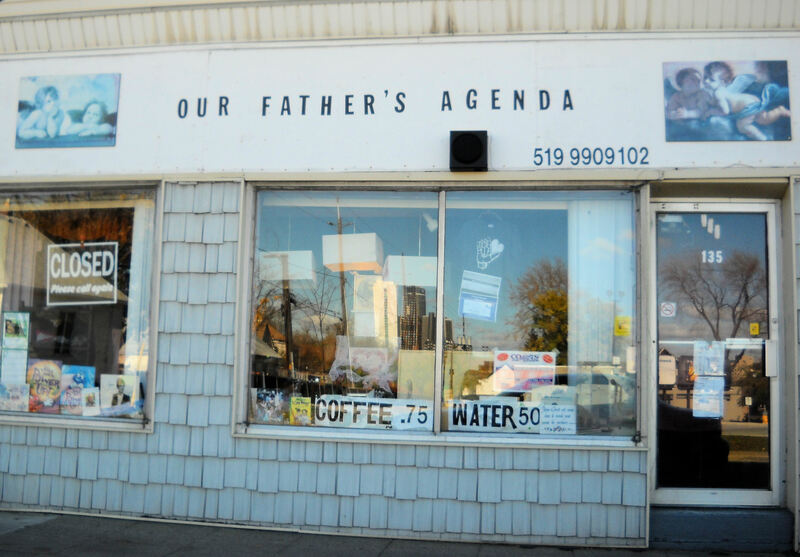 Located at the corner of Erie and Goyeau, Our Father’s Agenda is a thrift store like no other. It offers a warm and inviting atmosphere, and the owner, John Smithies, is very knowledgeable and friendly. He is also willing to help out with whatever local need may arise. He also enjoys giving to those who come into his store. There is a great collection of books. From history to the Bourne series, you can find all kinds of paperbacks and hardcovers on the shelves. There is also a few rare antiques lurking the in store. And John is also willing to help local charitites: the store recently hosted a bake sale for a local organization that helps those in need. There is parking behind the store as well as on Erie St. So feel free to come down to Our Father’s Agenda. John will have the coffee on, great items for sale, and many awesome surprises!